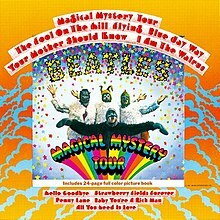 I think there needs to be thread where we label The Beatles by genre. 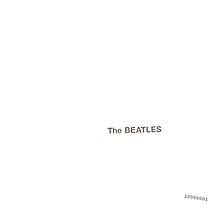 The Beatles' genre is music. The label "British Invasion" means nothing. Do you think those of us in the UK have ever referred to "British Invasion" music? Especially as it involved many different genres of music, from the Chicago-based R&B of the Stones to the comedy-pop of Herman's Hermits and the diva ballads of Cilla Black and Dusty Springfield. Most of your labels are retrospective, rather than considering what they were at the time. 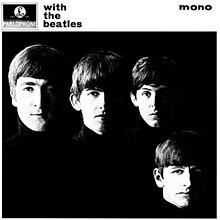 Please Please Me and With The Beatles , for instance, were I forced to put genres on them, they would include Merseybeat, Rock and Roll, Girl Groups, Motown/R&B. You often make your labels of things too wide, and ignore the view of the time. "Rock" as a separate genre didn't start until the mid-'60s, while "Classic Rock" wasn't a term that started being used until 20-25 years later. If you want to attach realistic genres to their music, you have to look at the labels of the time, and you cannot make them US-centric. 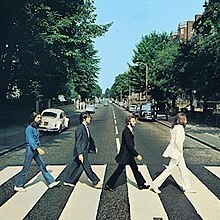 The Beatles NEVER recorded "British Invasion" music, that is merely a US term to describe the influx of acts from the UK who recorded many different types of music. 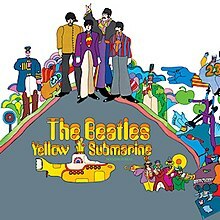 I know that British invasion and classic rock aren't proper genres but rather refer to an era of music but then again that's what music genres are, labels referring to specific type of something, often referring to a specific era as well. I refer to many British bands as British Invasion bands such as The Beatles (early on), The Rolling Stones, The Who, The Kinks, The Animals, etc., although each band has it's own unique style, I refer to all of them as the same genre because they have a very similar sound, saying that She Loves You isn't a British Invasion song would be like saying The Number Of The Beast isn't a New Wave Of British Heavy Metal song. 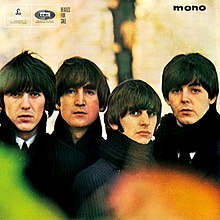 When I refer to Classic Rock as a genre rather than a simplified term or era, I am referring to bands like The Eagles, Elton John, Billy Joel, and The Beatles final 3 albums. 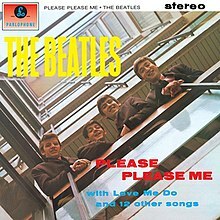 As for your genre labeling of Please Please Me and With The Beatles , I can perfectly understand Merseybeat and Rock And Roll, but referring to albums made entirely by men as Girl Groups I would have to disagree with, as well as that referring to them as Motown/R&B isn't fair because Motown is just like British Invasion and Classic Rock in that it isn't a proper genre, but a label (in this case, a record company that makes pop songs). I hope you guys enjoyed the previous list as well as this list. When @Ron Nasty said this i'm pretty sure that he meant that their early music was directed and enjoyed largely by girls; therefore it has nothing to do with the fact that the Beatles were a male group. 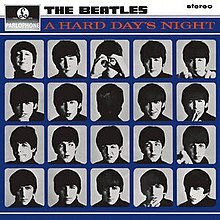 In their early work they specifically wrote songs to appeal to their female fanbase (this is mentioned, for example, in the Eight Days A Week film). 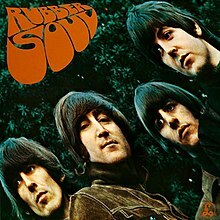 As for defining the genre of the Beatles, I think that it's a pretty fruitless exercise. The majority of their work is so unique and vaired that there really isn't much point. If somethings good and you enjoy listening to it then leave it at that. The reference to Girl Groups, @Dark Overlord, is a reference to the amount of songs they recorded that were originally done by Girl Groups. With Boys they didn't even bother changing the gender! And while Motown is a record label, it is also regarded as a genre. Because of the use of a house band, The Funk Brothers, Motown had a very distinctive sound. Though it is true The Beatles very much Anglicised it. Now, those are fair to argue over, but the flaw I pointed out in your labelling is still valid: the need to be more specific and not use labels that make sense to you but not others. You also need to research genres more. For instance, you refer to Ob-La-Di, Ob-La-Da as folk rock in your first list. It just isn't. It's based on early reggae coming out of Jamaica and highlife coming out of Ghana. Has nothing at all to do folk rock. I don't really listen to reggae, so I assumed that it was more of a folk rock song. I decided to edit my first post, mainly because I didn't get a single thanks, which is sad, hopefully you like my edited post. Please like, if I get 20 likes, I'll sing a song and recorded it then upload on da forum. There's more to posting than just getting thanks. You may not have got any on that post, but you started a conversation, which in my opinion is better than a billion thanks. Besides, if you're only posting for thanks, what's the point? Good point. 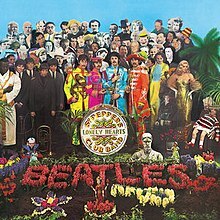 While we're here, I thought I'd explain why I consider Helter Skelter to be Garage Rock instead of Hard Rock or Heavy Metal. 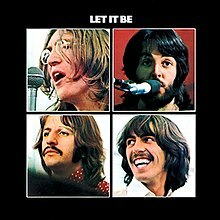 It's quite simple actually, Helter Skelter involves Paul and the gang playing their instruments as loudly and aggressively as possible, The Beatles are doing this so well that when Paul strums the E chord during the verses, it slightly raises pitch. This is something that garage rock bands would do, MC5 comes to mind, most known for their 1968 garage rock classic Kick Out The Jams, which reminds me of Helter Skelter due to the aggressive playing of the instruments, heavy metal is not known for this, instead being more known for it's intricate and precise instrumentation, a band like Judas Priest or 80's Metallica wouldn't be just bashing on an E chord very aggressively. Also, Helter Skelter includes piano, trumpet, and saxophone, which although would be fine in a garage rock band, those instruments pretty much never appear in a heavy metal band. Why do you care about getting 'thanks'? Post as you have something to say not to get applause or appreciation. I guess so, it's just that I really thought I did a good job on this post but you're right, it'd be stupid of me to post just to get thanks, that'd make me a sellout. It's not about being a sellout, just don't live for others approval. I largely agree w/this (and posted something similar once). There were a number of 1968 bands playing variations of excessively loud, often blues-derived, music on overdriven guitars and drums: MC5, Blue Cheer, Led Zeppelin, Iron Butterfly, the "Helter Skelter " Beatles. And they'd all be lumped together under the HM umbrella years later, when the term began to be recognized, as pioneers (or at least precursors) in the genre, even as the genre itself morphed into something more formulaic. A listen to Motley Crue's (terrible) cover of "Skelter" is illustrative.